Tipped workers are put in situations like Ashley’s every day, in part due to a gaping loophole in minimum wage laws. In most states, the legal minimum wage is much lower for workers who earn tips (often as little as two to three dollars an hour) than for non-tipped workers. If a server’s $2.50 an hour plus tips doesn’t add up to the minimum wage, restaurants are supposed to supplement servers’ wages to match the regular minimum wage. But restaurants frequently violate this rule, stiffing workers who can’t bring in enough tips on a slow night. A staggering four out of five full-service restaurants investigated by the U.S. Department of Labor from 2009 to 2015 caught violating wage rules, with underpaying tipped workers was one of the most common violations. Women are the majority of low-wage workers and no less than two-thirds of tipped workers, so women in particular have a lot to gain from D.C. Initiative 77, a ballot initiative that would equalize the minimum wage in Washington, D.C., creating one fair standard for everyone by 2026. The standard minimum wage in D.C. is $12.50 an hour (and will rise to $15.00 by 2020). But under D.C. law, tipped workers’ minimum wage is a dismal $3.33 an hour ($5 by 2020). In other words, D.C. law gives restaurants extra leeway to underpay a largely female workforce. If Initiative 77 passes, tipped workers in D.C. will finally have the right to full, regular minimum wage that will rise to $15 an hour, plus any tips they earn. Today, D.C has the widest gap between tipped and non-tipped workers in the country, leaving tipped workers, especially women of color, vulnerable. 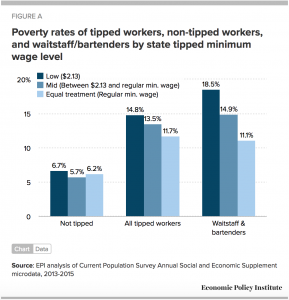 According to the Economic Policy Institute, wait staff, bartenders, and other tipped workers are significantly more likely to live in poverty that non-tipped workers. But those numbers improve dramatically in the eight states that maintain an equal minimum wage for tipped workers. Not only does the two-tier system enable paying tipped workers less, it creates tremendous economic instability for workers who simply can’t predict whether any given customer will be stingy or a night will be slow. Even worse, the two-tiered system fosters discrimination and harassment in service industries. Research suggests that customers (of all races) tip black workers less than white workers, even when controlling for quality of service and dining party size. That means that a black waitress may receive smaller tips than a white waitress, sometimes not enough to earn minimum wage for the night. If her restaurant is one of the many that fail to adequately compensate tipped workers, she may go home with far less than fair pay at the end of the night. Raising the tipped minimum wage could also ameliorate another pervasive form of discrimination in the restaurant industry: sexual harassment. This year, more than sixty women have filed sexual harassment complaints against IHOP and Applebee’s. Those headlines only scratch the surface of the restaurant industry’s harassment problem. Thirty-seven percent of all sexual harassment complaints made to the Equal Employment Opportunity Commission (EEOC) involve restaurants. 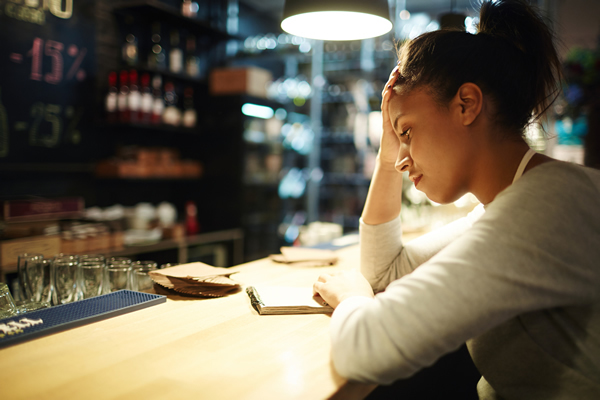 A 2014 study by Restaurant Opportunities Centers United found that staggering 78 percent of female restaurant workers reported being sexually harassed on the job by management, co-workers, and customers. If a waitress can’t make her rent without tips, she may not be able to afford to object to sexual harassment. Raising the tipped minimum wage would help, by providing tipped workers with enough of a baseline wage that they don’t have to choose between harassment and homelessness. Raising the tipped minimum wage should be a no-brainer, but under pressure from the restaurant industry, D.C. lawmakers left tipped workers behind when it voted to slowly increase the city’s minimum wage to $15. The District now has a chance to do better by the service workers who keep the city alive. 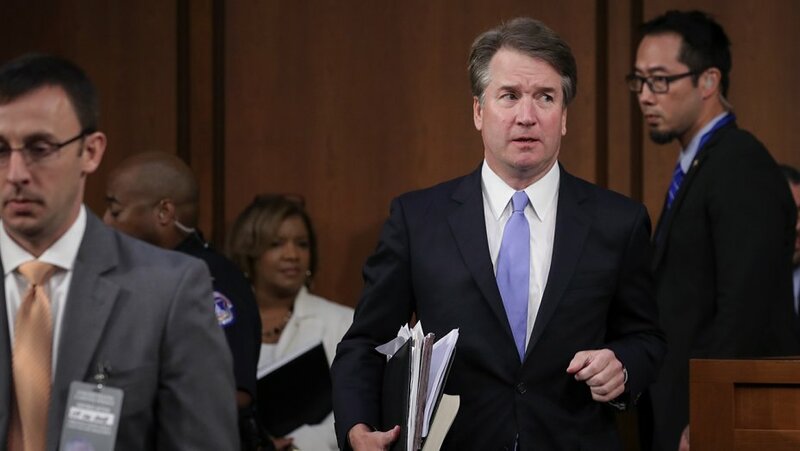 Image via The Washington Blade.